Catalyst | Take your site to the next level. Marty is the catalyst at Full Blown Studio. a person or thing that precipitates an event or change: His expertise in internet technology served as the catalyst that has elevated Full Blown Studio to the next level. Below is a partial list of our web solutions. Contact us to learn more. No pressure, we'd like to help you grow your business, no matter what level. Problem: This client needed to inform the world about their new bar opening soon. They also wanted to get feedback from their customers. Solution: We recommended a custom designed weblog solution. 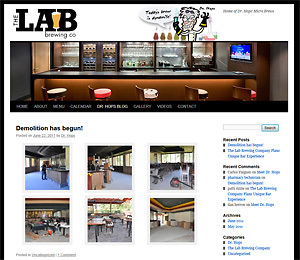 Our custom designed blog website enables our client to write articles and blurbs about their new bar and retrieve valuable feedback from their customers. Our client is able to add, edit and delete their articles using their custom designed Administration Console. They are also able to review customer feedback without ever incurring an additional charge or calling a web designer. 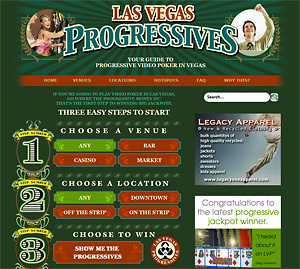 Learn more about Premier Web Designs. 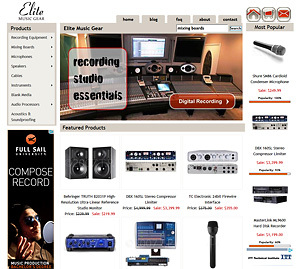 Problem: This client wanted to be able to sell music gear online. Solution: We designed an e-commerce store for their many music products that accurately calculates tax and shipping costs. We setup a merchant account so they can accept credit cards. Lastly, we custom designed an extensive Administration Console which provides an easy way to edit their whole website, add, edit & delete products and track orders without ever incurring an additional charge or calling a web designer. 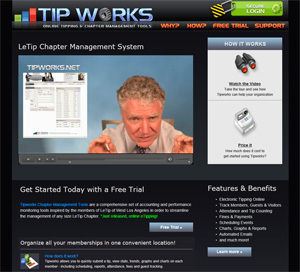 Problem: This client wanted to create an online community for their members. They also wanted to manage their members, store statistical data in a database and print detailed, customizable reports. Problem: This computer repair company wanted a higher ranking in the search engines. 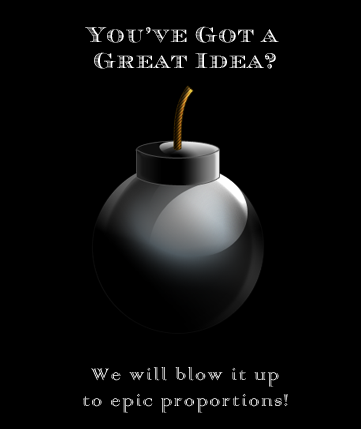 Solution: We custom designed a persistant search engine optimization plan. 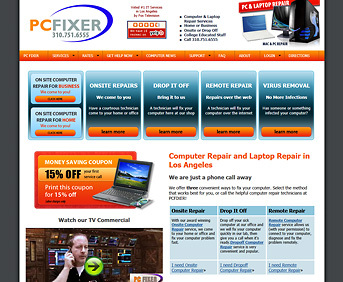 With determination we got lapcfixer.com multiple "organic" front page listings on both Yahoo and Google for the keywords los angeles computer repair. 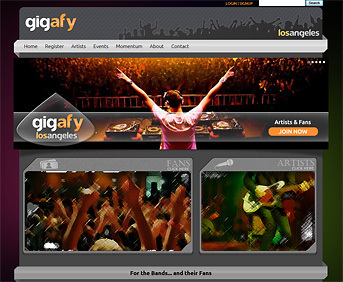 Benefits: The influx of visitors to lapcfixer.com has increased tenfold with a front page search engine result. Also note: gpspls.com, gtxcorp.com, gpsshoe.com, locimobile.com, minimtgps.com and gpswellness.com (Full Blown Studio clients) are on the first page of Google for search term GPS PLS. 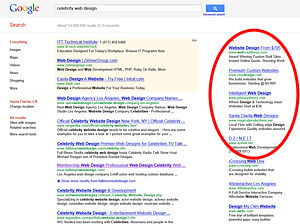 And this website (Full Blown Studio) is on the first page of Google for the keywords "Celebrity Web Design." Discover what Search Engine Optimization can do for your business. 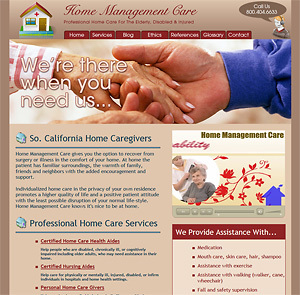 Learn more about Premier Web Designs. Solution: We will custom design a pay-per-click advertising campaign to run on Google or Yahoo. 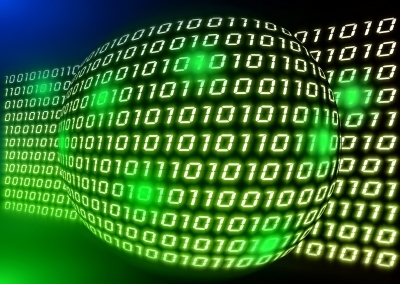 Pay-per-click ads will rapidly increase targeted visitors to your website. Benefits: The increase of visitors to your website(s) will increase with a pay-per-click advertising campaign.